• Season timing and lengths will be tailored to each hunting district, so know your regulations. 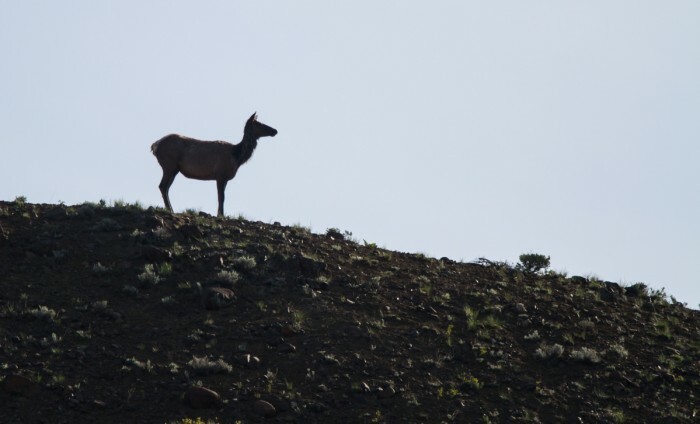 • Shoulder seasons will be focused on antlerless elk found primarily on private land. • Hunters can typically use their general season elk license, antlerless elk permit or an elk B license, depending on the hunting district. 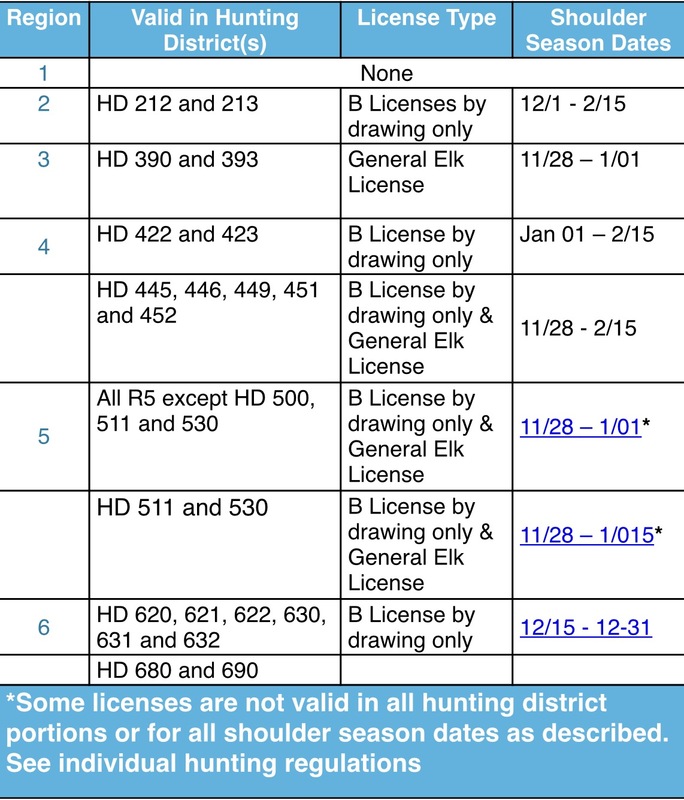 Hunters need to check the regulations for each district. • Hunters should start early establishing contacts and building relationships with landowners who may offer access for shoulder season hunts. • A shoulder season is a firearms season that occurs outside the 5-week general rearms season. The seasons focus on antlerless elk harvest on private land and are not intended to replace or reduce harvest during the existing general archery and 5-week general firearms season. • In order for shoulder seasons to be effective, everyone must work together – FWP, landowners and sportsmen. • Hunters can use their General Elk License or Elk B License, obtained through a limited drawing or over-the-counter (OTC), depending on the hunting district. Application deadline for limited B Licenses is June 1. OTC and any surplus B Licenses are available for purchase beginning August 8. Check for availability at fwp.mt.gov.